Our surveys show that tires are the number one products that ATV and UTV owners buy. What’s second on the list? Well, up in the north, snow plows rank highly. 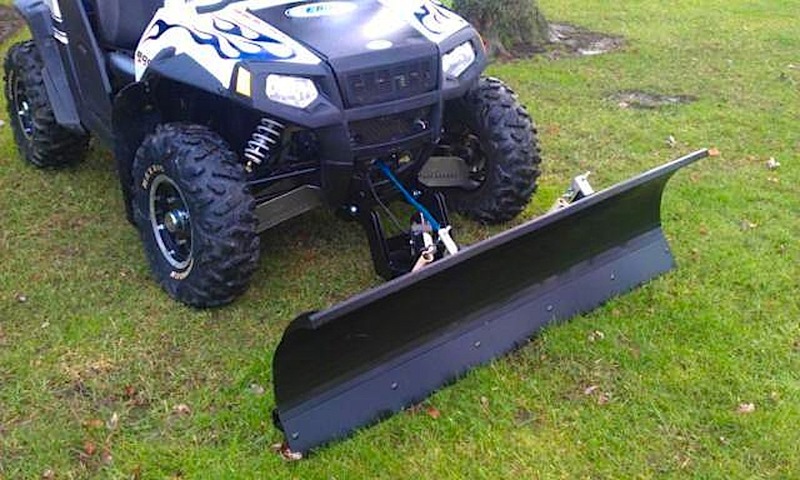 Shoveling snow is not as easy chore and while doing that you’ll just naturally say, ” Hey, why not let my quad or UTV enjoy some of this fun, too.” It’s just a matter of shopping for and selecting a good snow plow that can do the job at a good price. 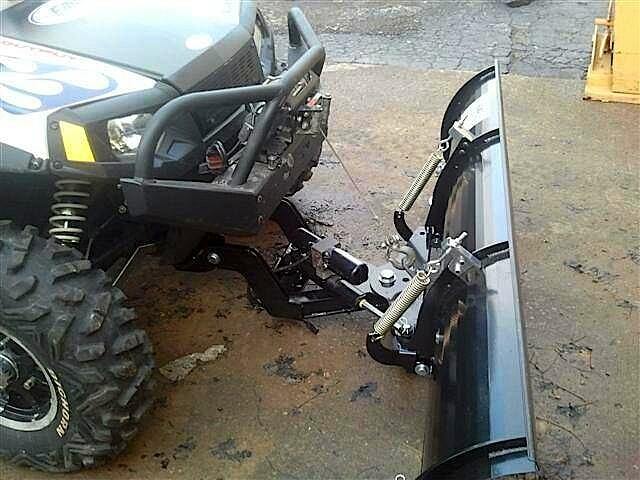 This is not your average Chinese made ATV plow. It is made in Cleveland, Ohio from American A36 Steel. 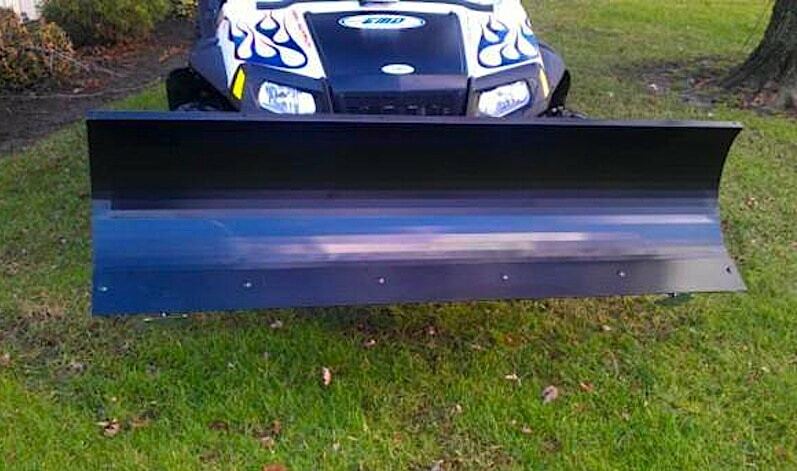 It features a 14 gauge mold board, backed by a 1/4″ thick steel frame (most UTV/ATV plows do not have a frame). The plow frame is laser cut from 1/4″ thick steel, making it very heavy duty. 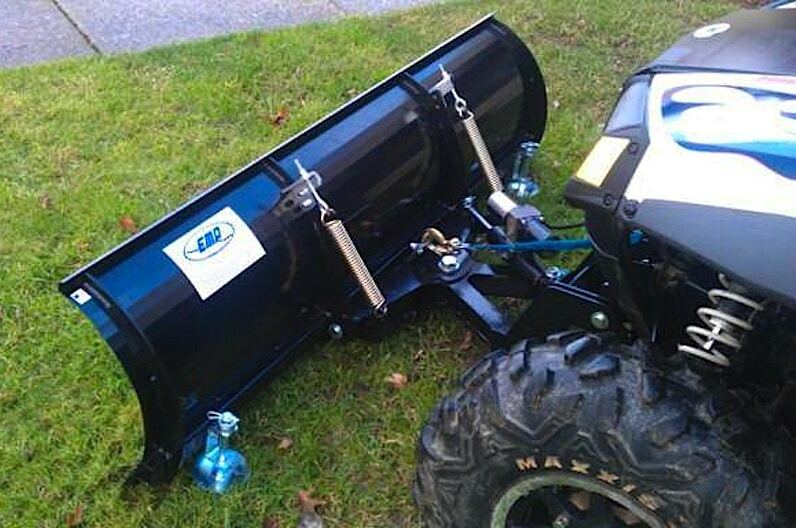 It raises and lower with your winch, if you do not have one we can offer one. The wear blade is cut from 3/16″ AR36 (abrasion resistant steel). Works with the factory front brush guard and the EMP Front Bumper. — Fits: 2008-2014 RZR, RZR-S, RZR-4,RZR XP900 and 2012-2017 RZR 570 (does not fit the XP1K or 2015 RZR 900). — Lifts and lowers with your winch (not included). — Powder coated black for superior protection. — Made from A36 American Steel. — Laser cut for a great fit. — Ships UPS Ground to your door. Vehicle specific mount included, but please put the year and model of RZR you have in the comment box during check out.